The 2016 New Year is quickly approaching. 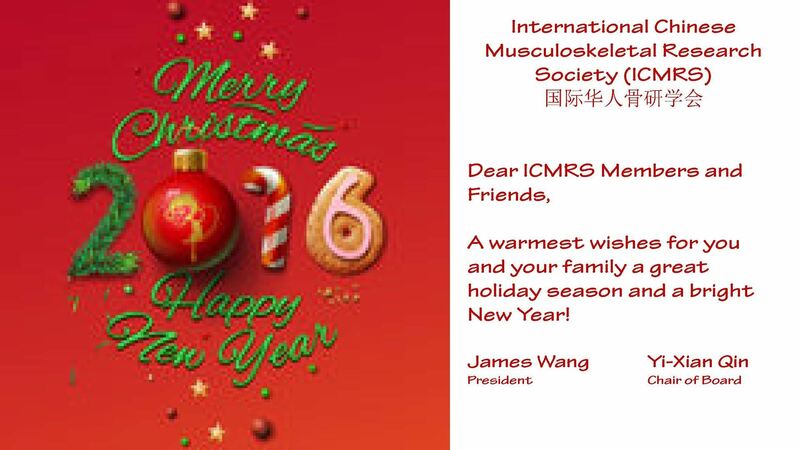 As the respective new president of ICMRS and Chair of the Board of Directors, we would like to extend our warmest wishes to all of our members and their families for a warm holiday season and a very happy New Year! ICMRS, originally known as ICHTS, began in Sun Valley in 1994 with just 25 members. Twenty years later, the Society now consists of more than 1,900 members worldwide. The Society has come to fruition with strong support from our senior leaders, and through all of our members' continued efforts. The Society holds two annual membership meetings at ORS and ASBMR, and has organized a total of 7 bi-annual International Conferences in Osteoporosis and Bone Research (ICOBR); two bi-annual ICMRS-ASBMR conferences have also been initiated. 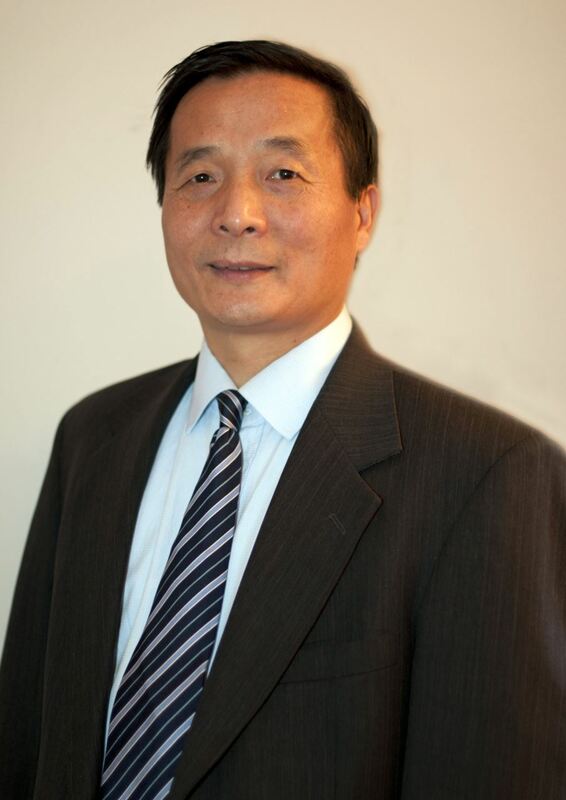 We have now established a total of 18 Collaboration Research Centers in China. To meet the expanding needs of the Society, two new journals are now fully affiliated with the Society: Bone Research of NPG and the Journal of Orthopaedic Translation (JOT). These many achievements could not have been possible without all of our members’ efforts and continued support. Our society leadership has played an important role through the spirit of team work and scientifically oriented, hard-working individuals who share a collaborative vision. All of these efforts and contributions are great assets of the Society. With pride, we inherit the already established high standards for the society. We will continue to meet and even exceed these high standards through beneficial policies and strategies developed over the years as we take the lead to facilitate new initiatives for fulfilling ICMRS’ mission of enhancing communication in musculoskeletal research. Although it has only been two months since we assumed new leadership, we have several updates to share with our members. The daily running of our Society largely relies on the implementation plan of each committee. Many young, promising leaders serve on the various committees including the Program Committee, Membership Committee, Education Committee, and Women’s Committee. Additionally, the new Society website is under active development, and will soon provide web functions that are much needed for our member services and to further enhance communication. Over the next two years, we look forward to enthusiastically serving our Society and its members. In particular, we plan to take steps to encourage the involvement of a younger generation of scholars and investigators in the various societal services and activities. We will also implement a membership reform allowing our society to gradually transition to a membership-fee based operation. Finally, we will develop new procedures and standards to address the challenges in the quality control of membership and collaborative centers. We greatly welcome and encourage feedback from our members—your voice matters. We are hopeful that all of these efforts will take us to the next level of excellence! Wishing you a very Merry Christmas and a Happy New Year to come!